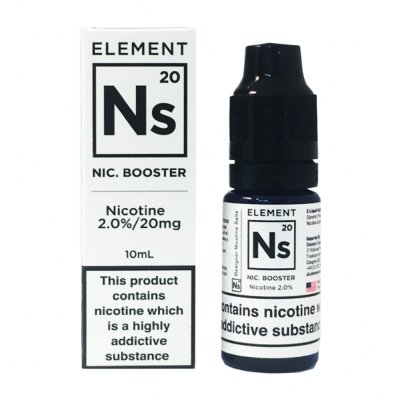 NS20 Nicotine Shot by Element is a Nicotine Booster Shot with Nicotine Salts (35pg/65vg nic shot). This features 20mg of nicotine so when added to a 50ml Short Fill of 0mg it will make a 60ml eliquid with a 3.3mg base. This special nicotine shot uses the natural salt found within the tobacco leaf as their basis for nicotine. 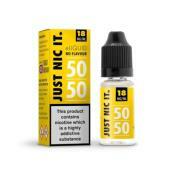 Nicotine Salt aim to provide a more potent nicotine hit and a smoother throat hit for your shortfill e-liquids.